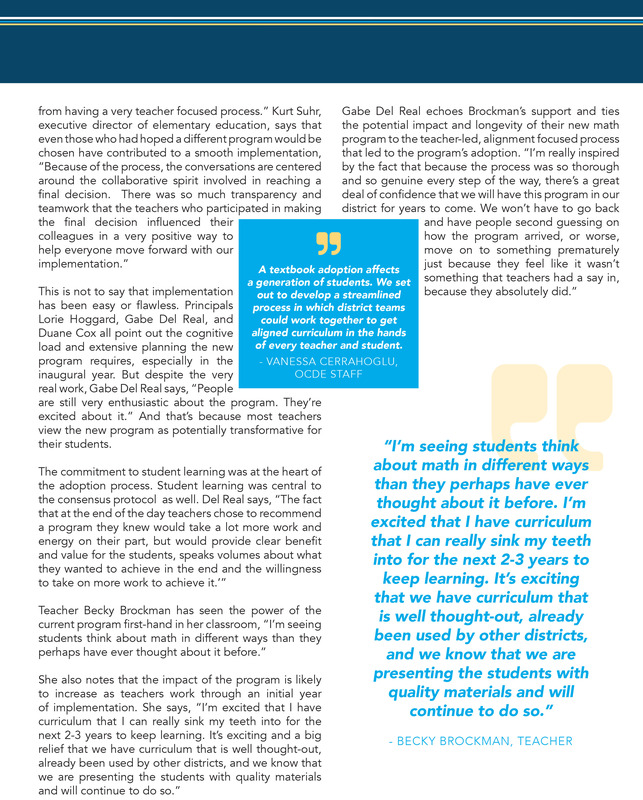 In 2017, Newport-Mesa Unified School District took on the task of adopting a new K-5 math program. 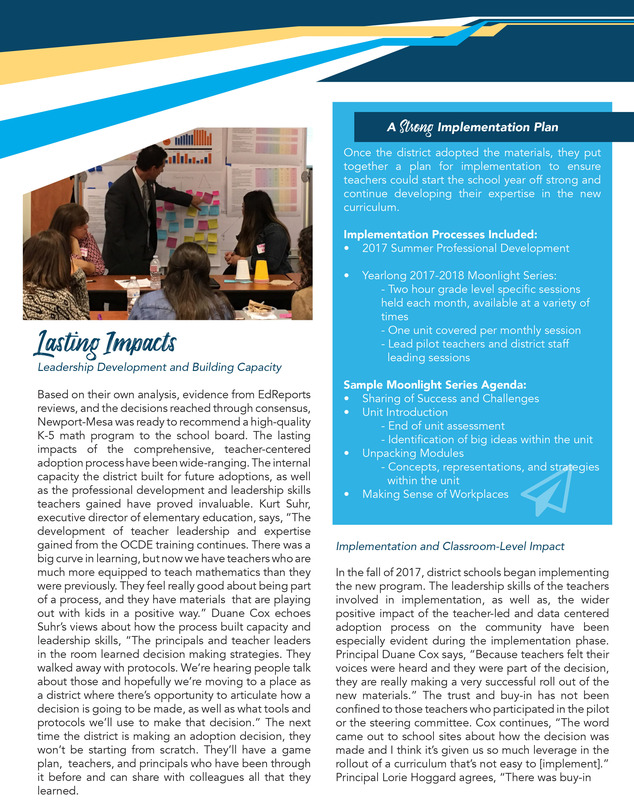 The team was committed to a teacher-led, alignment focused process which would bring high-quality materials to every elementary school student in the district. 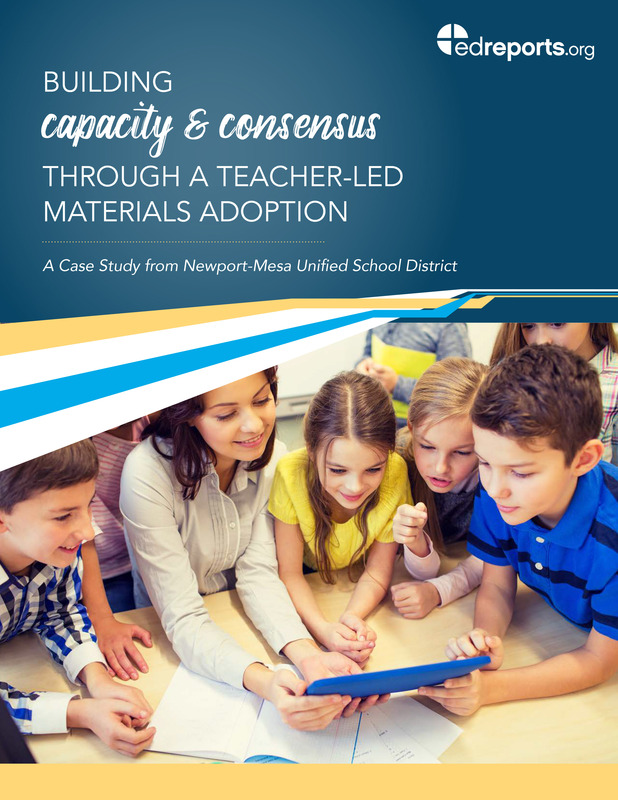 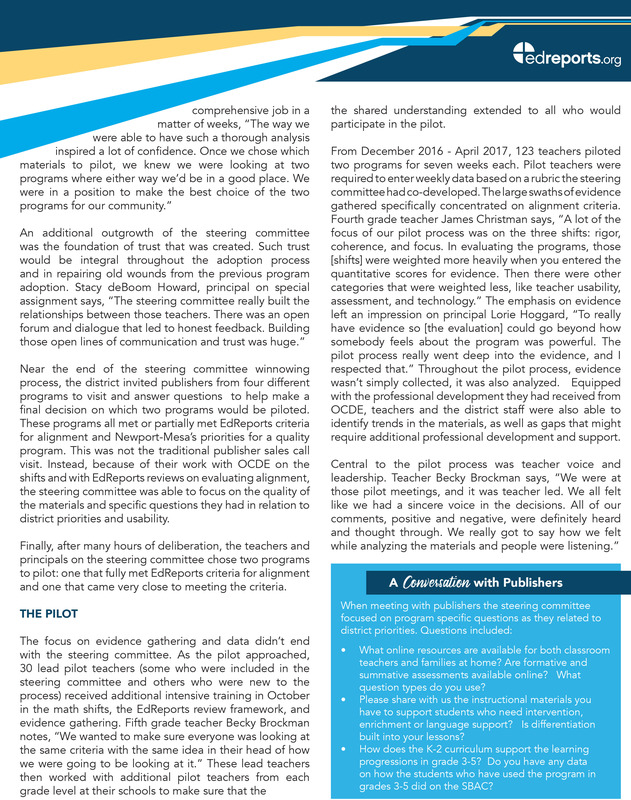 Read more about the challenges Newport-Mesa faced, the important steps they took to ensure success, and the role EdReports played in their journey of instructional materials adoption. 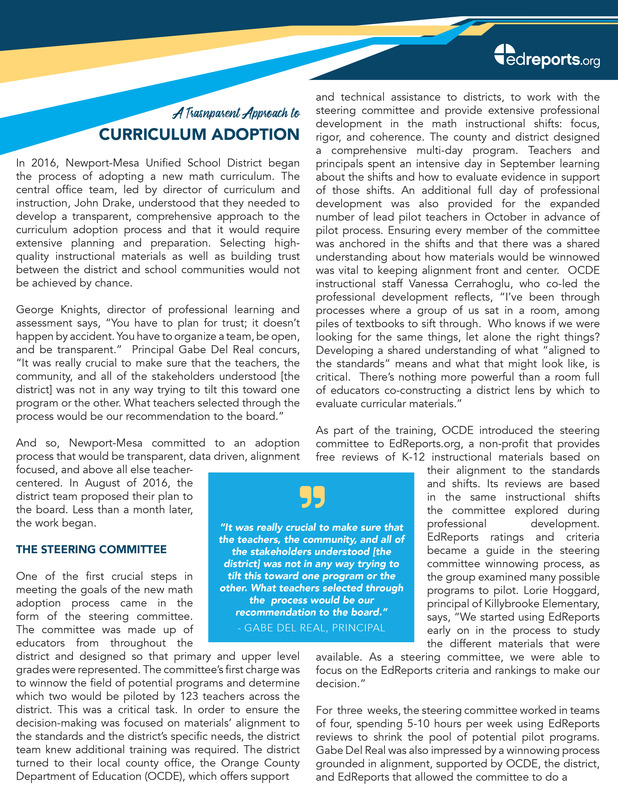 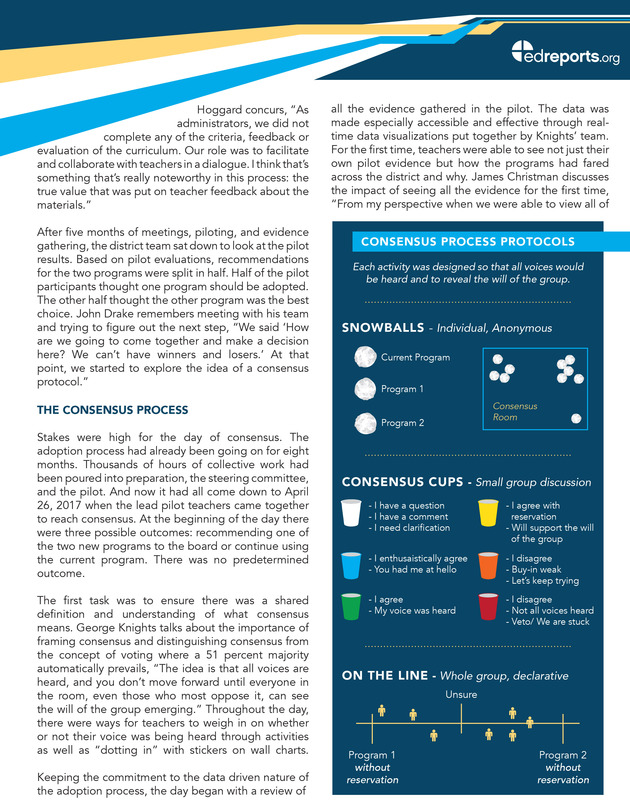 Building Capacity and Consensus Through a Teacher-Led Materials Adoption is a story about how much materials matter for student learning and the choices communities can make so that all students succeed.